We aren’t getting any younger here. As evidenced by my mom turning 73. She just kept saying she never thought she would make it to 40, let alone 73. Part of her gift was these little face cloths. I’ve finally put the Canadian drama yarn socks to bed. After darning them 3 times, I just can’t anymore. I guess I’ll have to get on that knitting socks thing. After I finish my mom’s size 11 pair. Luckily, they are with worsted, (but still, size 11!) which is easier on my floppy paw. (I totally need a more positive name for that thing) However, I injured my left arm in the Great Sleeping Incident ’18. When the GSI’18 happened, I warped my loom, hoping to catch up on the Spunky Eclectic Weaving Club. You! In the back! You can stop rolling your eyes right now! I have things! In my head! That aren’t brains! It has been an exhausting and injurious month. That’s my story and I’m sticking to it. In better news, our Mo has been able to donate $1200 so far to my Bike MS ride (I can’t wait until my team puts in the matching amount!) and is waiting for VAT to be paid to donate the rest. Thank you to her, everyone who bought her patterns, and that thing that happened with the Ravelry Gods. So, if you’re feeling all warm and fuzzy now, go forth and wish her a happy birthday. Happy Thursday y’all! Or something. Tuesday can get here any time now. 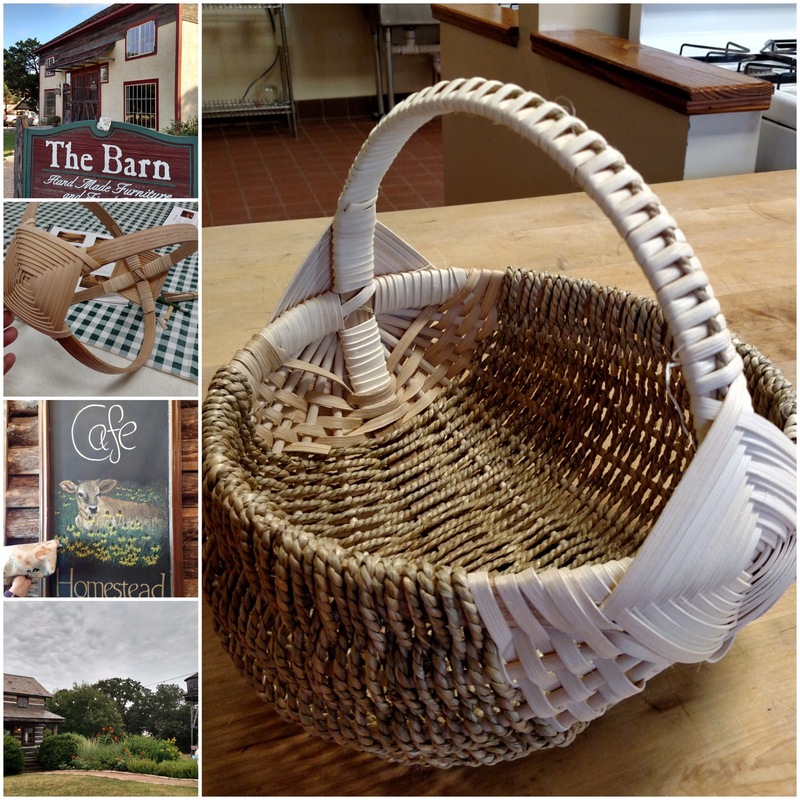 On 8/27, I started weaving an 8″ basket because Cookie made me do it. Texas and I also went for a sunset kayak trip with friends that night. They may be my favorite kind of trip. It is cooled down and the idiots are pretty much off the lakes by then. 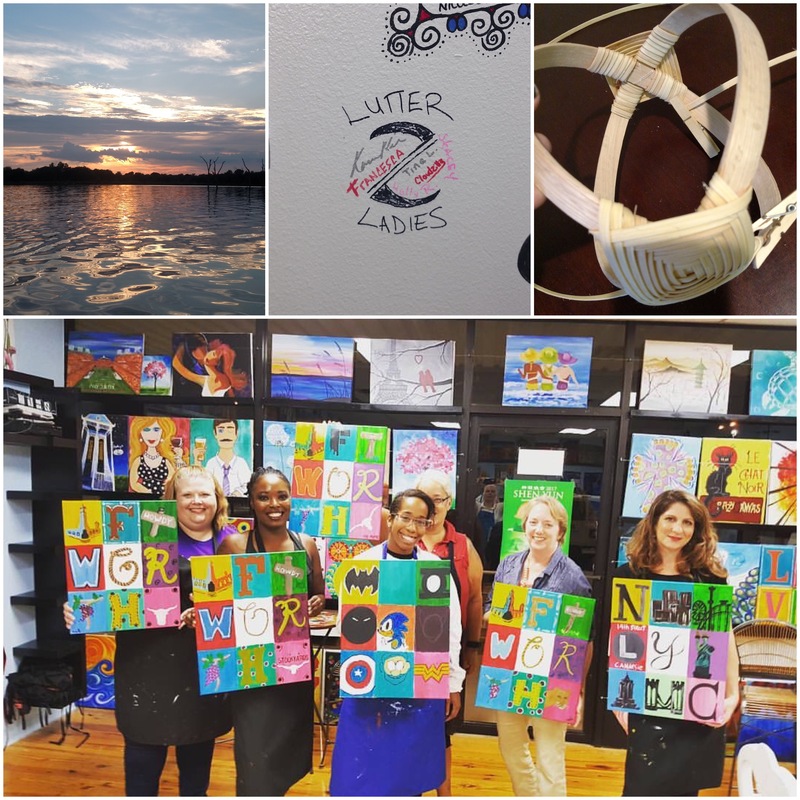 This past Friday, I went out for a paint night with the ladies from my jiu jitsu team. I love these women. Fun, diverse, honest, and down to earth. There is something about sharing hours on the mats, sweat, and bruises that bonds you in a way that nothing else can. Tuesday I get my Rituxan. It has been a year since my last infusion and my B cells are at 6%. It cannot get here soon enough because I can’t spend my days sleeping. Author stacey919Posted on September 4, 2016 Categories UncategorizedTags jiu jitsu, life, weaving2 Comments on Tuesday can get here any time now. I was cruising around my blog to see if I could find out how I warped my inkle loom, and this blog post popped up. Which had nothing to do with the search term “inkle”. My inkle wasn’t even a twinkle in my eye way back then. 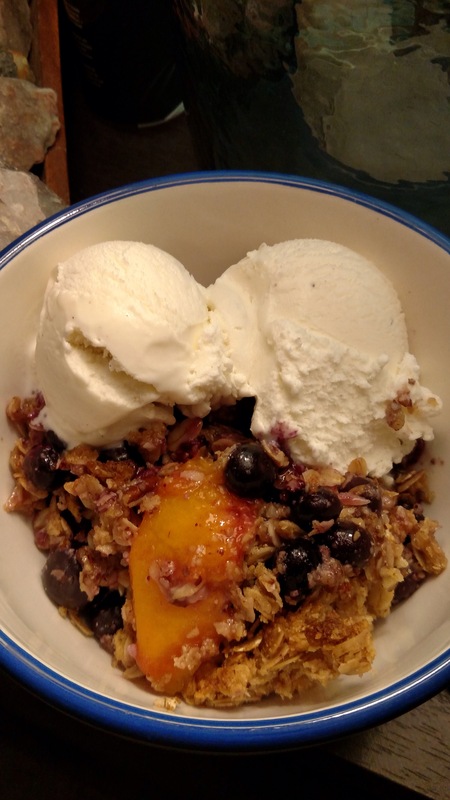 But I did end up tweaking the recipe and made it healthier. I ground steel cut oats for the flour, and threw some whole oats in. I think I used some powdered stevia from Trim Healthy Momma. I did this on 08/08, so I’m not quite sure anymore. What ever happened to “What’s for Dinner Wednesday”? I may have to make a button and resurrect that. I am a Pope after all. So, “what about the inkle loom?” you ask. So, Rosie made me take a basket weaving class. I blame Rosie since she bought a sewing machine. 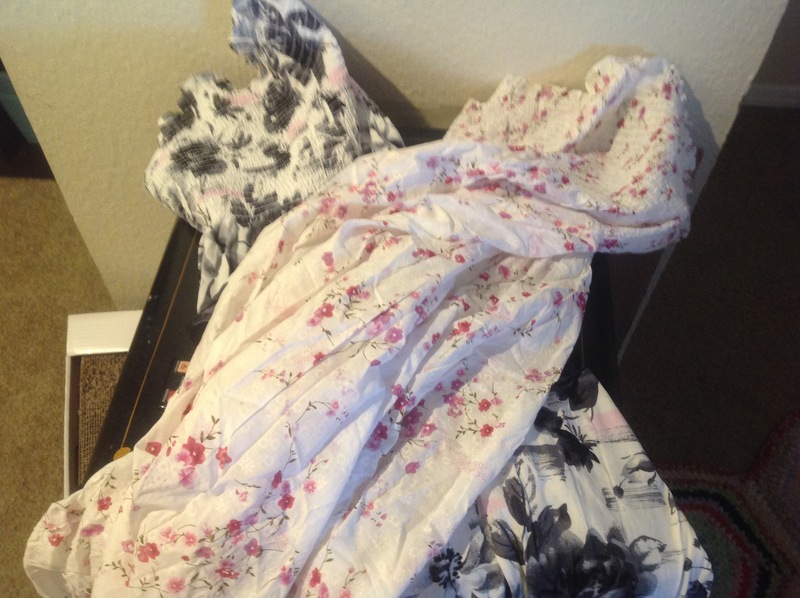 The black and white one wraps a little, so I have some hand sewing to tack down the split. Because no one wants to see my undies while I’m trolling around town. While not busy making pretty sun dresses, I’m planning a weekend camping trip. While knitting, swimming, biking, and cross stitching. I may also be going to a weaving class. That forced “vacation” has me doing ALL the things. Life is too short y’all, go out and grab it by the balls! 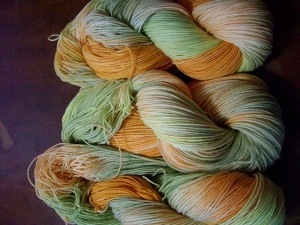 Squash Blossoms, dyed with Nacogdoches and a bunch of the Knotty Girls in June of 2012. 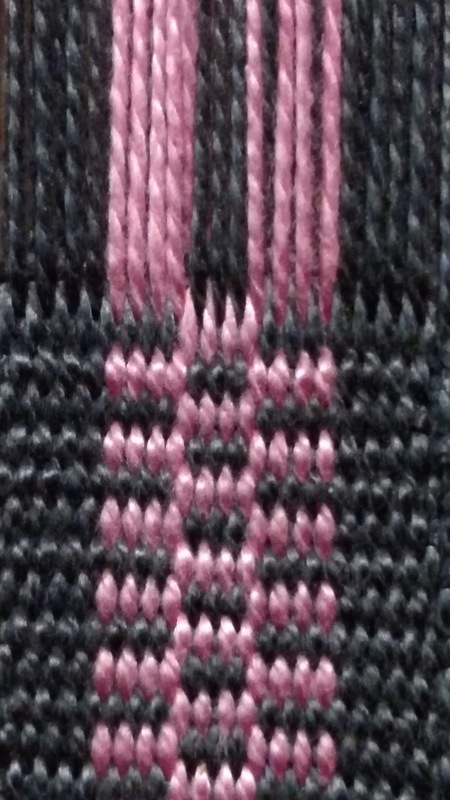 Put on the loom on the tenth of the same month. 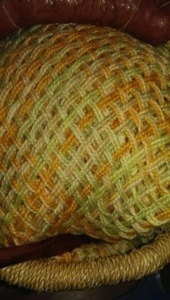 Squash Blossoms, woven and taken off the 5 foot tri-loom this past Monday. Yarn held double because it is only sock weight. I think I am going to add a simple crochet edging to finish it off. Tri-looms don’t travel well all put together. I still have about two skeins left and don’t know if I should start something new now, while Texas is sleeping (he’s on 3rd this week), or just tuck them away until later. We’re expecting a 50 degree drop in temperature between today and Friday, so perhaps I should be digging for bulky yarn and cranking out anything I can. I was a little worried about doing apartment living after so long, but it really isn’t that bad. The walls are thick and I’m not sure that someone even lives upstairs. Of course, we still have things to move and aren’t really settled in yet, but we’ll get there. It certainly is a new adventure. Happy December y’all! Stay warm.